Anne vs. Emily and other things we can have fun arguing about ! Ok, let me say this first - I've read every single book that Montgomery has written (excepting the Blythes are Quoted which is now sitting on my bookshelf!) Ok? I liked them all. In fact, there hasn't been one that I didn't like. Some are definitely better than others and naturally I have a preference. But people. Emily and Anne? Shocking statement coming . . . avert your eyes if you must! Anne and Emily were penned by the same person! Read that last sentence again. I noticed during the Montgomery Challenge that Emily fans are really big into the fact that they are Emily Fans. Do not let them be confused as anything else! Oh no! The comments Emily-or-Death fans write up admittedly make me laugh. I find them to be positively hysterical (I say this all in good fun, you have to realize) and this is how it's making me want to characterize various Montgomery fans. * Think the world is a beautiful place in which to live. * You have no brain. . .
* Because everything is just magical and so you need to put any real thought aside to fully accept the magic that is life. * Are realistic and have a good head on your shoulders. * Meet life boldly and fiercely. * Because you have a good, realistic head on your shoulders. 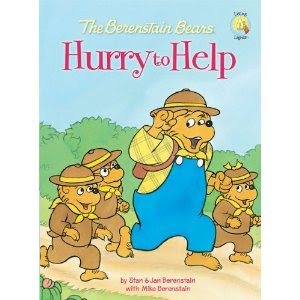 For the record, it is realized that Montgomery put herself into everything that she wrote, right? When you write - anything at all! - parts of you show up. Truths about yourself and the way that you think are revealed. (Side note: that's why we should be discerning about what and who we read. No one is neutral. Everyone has a worldview and, oh, it will come out!) You can't write and hide yourself and if you can, then I think you are one horribly scary individual (and I don't mean that in a good way.) So Lucy Maud Montgomery is in Anne. 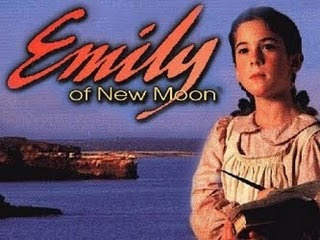 And yes, Lucy Maud Montgomery is in Emily. I should probably put way more thought into this post but then I wonder why I'm even typing it up at all. It's almost giving in to the banter to hit "publish." But I started smiling which turned into a snicker and now....well, here I am! Hmmm... 'though I suspect that is more of a religious topic and so maybe I shouldn't have mentioned it. Thanks for this hilarious post. 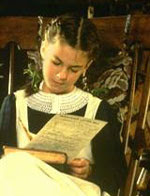 I have never read Emily although I enjoyed Anne a lot, admittedly when I was a little girl. I think I probably stand for a broad church emcompassing all sweet kind and good hearted fictional characters - fair?! I bet you didn't expect this...You just talked me into reading Emily sooner than later! haha! I love your wit and personality. ANd I fully agree our worldviews come through in our writing and are influenced by what we read. Having not read Emily yet, I can't put forth an opinion, but isn't it funny what people can get in a dither about? I wonder if there is a quiz about "What L. M. Montgomery character are you?" like there is about "What Jane Austen character are you?" I so agree about worldview coming through even when a book isn't about world view per se. Now you made me go back and read the Shack comments. Wow. Kind of like the ones I get on Goodreads of my review of I know why the caged bird sings. Hahahaha, oh geez, I've never thought about it like that because (like you pointed out quite clearly) it's the same author!! I kind of wish, of all the short stories LMM wrote, that she'd written the back story of Hester Gray's love story. On the side, you still have a lot of idiots coming along to comment negatively on your review about The Shack, don't you? Signs of pervasive stupidity in society, it would seem.